I recently attended a Data Hack Day at the London Transport Museum, run by onedotzero and Protein. 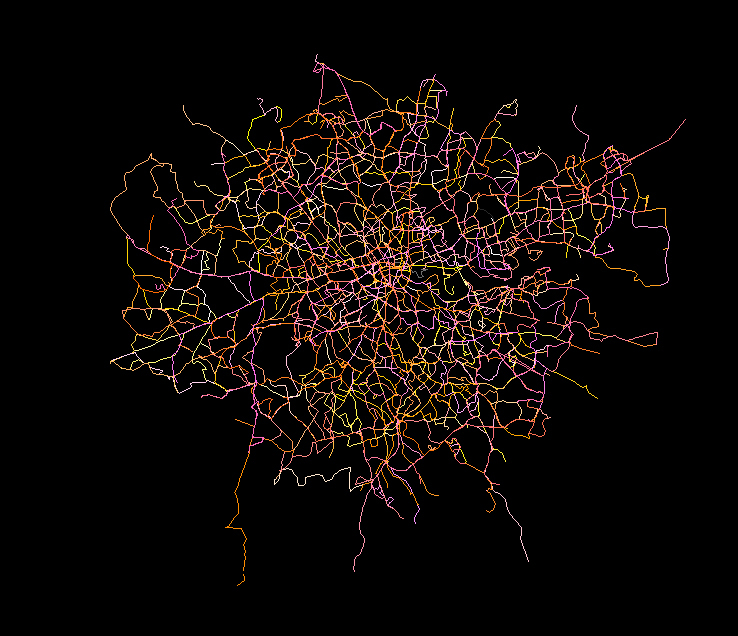 A day spent at the London Transport Museum was a good enough reason to get me there, playing with data was an added bonus. The colours don’t refer to anything in particular, they just change as the creation of the map goes on to make it look more interesting. When I’ve managed to create a suitable video (one that isn’t 20 minutes long and huge), I’ll put that up here.